Comment: I would like an estimate to add polyethylene expanding foam to my attic. I currently have sprayed in insulation. I am flexible for an appointment and consultation. Comment: Foam attic. Approximately 1000 s.f. 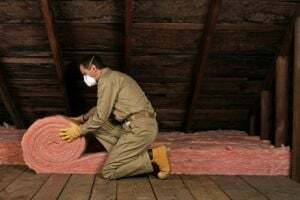 Comment: Spray foam insulation in garage attic. Approximately 1,000 square feet. Comment: Foam insulate attic roof. Approximately 1,000 s.f. Comment: Spray foam attic roof in detached garage. Approximately 1,000 square feet. Comment: Existing home remodel. Home has been stripped to the frame . Need vaulted ceilings insulated and all external walls. SF is around 1700. Comment: I would like to get an estimate to insulate the attic area over a three car garage. The garage is a standard, 2 + 1 (1 double door and 1 single door). and accessible through a door on the second floor of the home. Collierville Insulation Contractors are rated 4.82 out of 5 based on 97 reviews of 5 pros. Not Looking for Insulation Contractors in Collierville, TN?